This will be a really short post. I made my first card using this format and posted it on Monday. 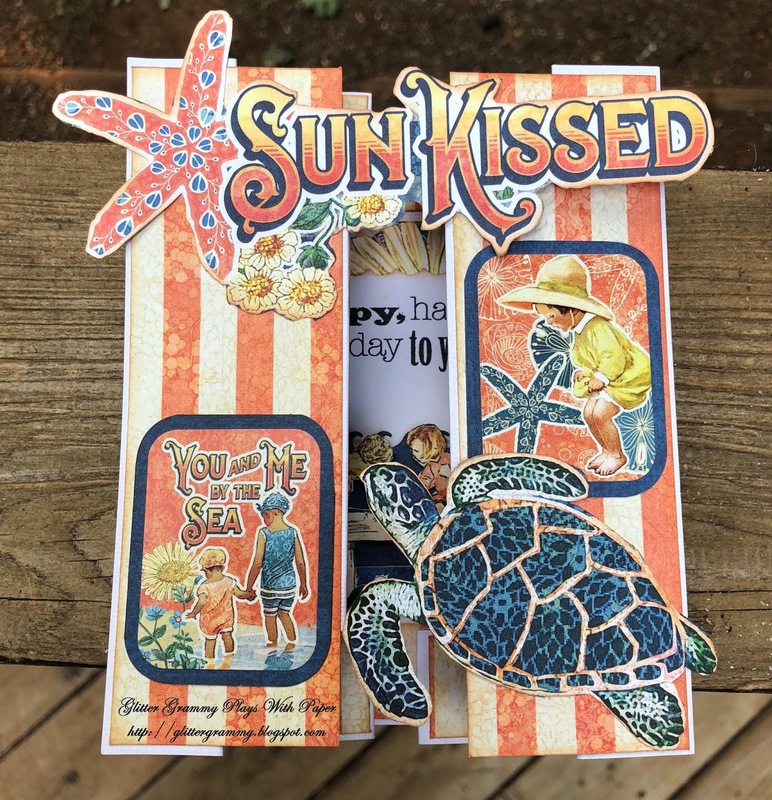 I enjoyed this format so much I've made another and I have an idea for yet another card that I will make before Christmas and share on the Sparkles Christmas Challenge. 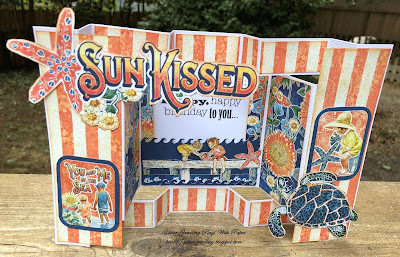 This card was made using the Graphic45 Sun Kissed Collection. 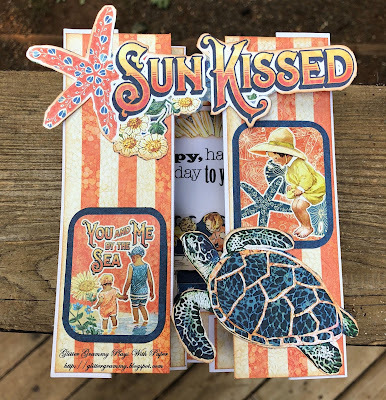 Fussy cutting and stickers decorated this card. I love how summery this card is and the beach is where I'd like to be in all this California heat. This format is like a party in a card. I love it! As promised, this is a short post....time to get busy cleaning house before it gets too hot.